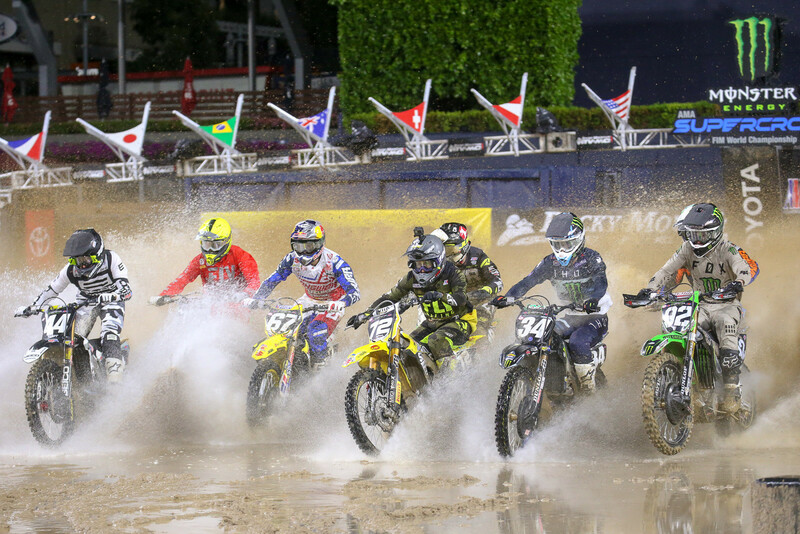 I’m a little late this week because my first story was on the popularity of Monster Energy Supercross and how the NBC Gold streaming service has grown international fans that could potentially lead to European points-paying rounds. Then the lime controversy started surfacing. In a 24-hour timespan my previous ideas became completely irrelevant. 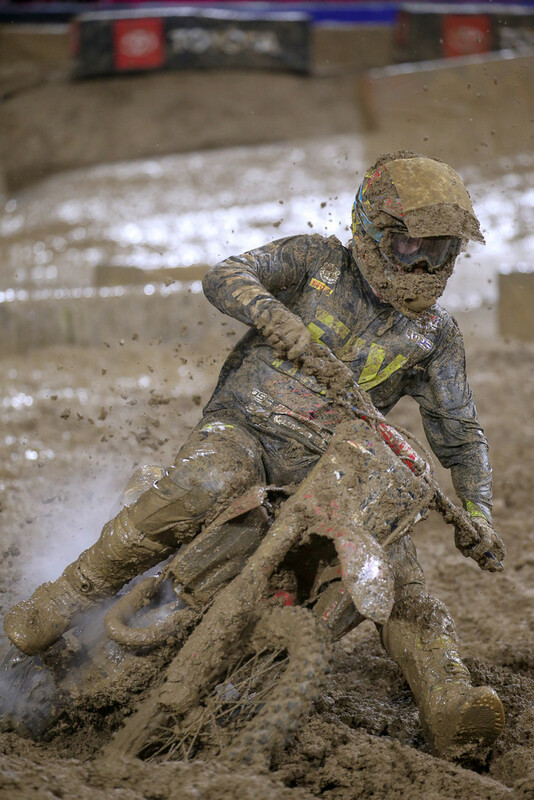 My thoughts about expansion changed to; How did this happen, and what long term ramifications will this have on Supercross? I’ve seen the damage, to both human and machine, and what initially appeared minor is now looking much more severe. Lime has been used in tracks as long as I can remember, my first experience was at the Denver Arenacross in 1997. I have a vivid memory of racing in Denver and being intimidated by the size of the whoops. I asked Oklahoma legend Cliff Palmer if the whoops would deteriorate, and he assured me with lime they don’t. 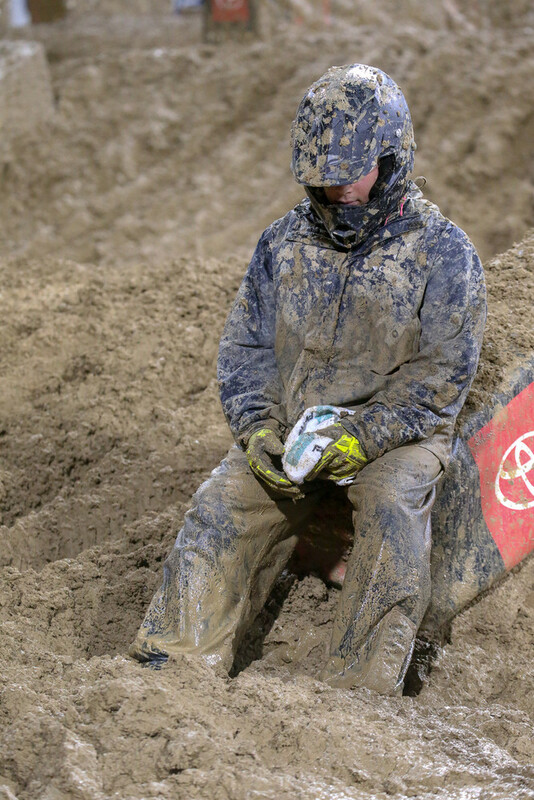 Back then, Arenacross was mostly held in small, snow-covered towns and finding dry dirt was next to impossible. Tracks were often spongy and deteriorated quickly. I have no idea who decided to add lime to the tracks, but it quickly became the new normal. Lime kept tracks intact and allowed for better racing. Palmer told me they used lime so the whoops wouldn’t break down. In all honesty knowing concrete whoops were the new normal inspired me to go back to college. Lime used in construction of tracks has become an afterthought, if used sparingly this might not have ever been an issue. What happened last Saturday in San Diego is what happens when poor communication and unrealistic expectations are placed on overworked employees. Track builders have earned a reputation of being wizards with their track design and preparation. Outside of rain hitting exactly at showtime, they usually have the track looking immaculate and race-ready.